I have been gone from blogging for a couple of weeks as university deadlines have completely taken over my life. 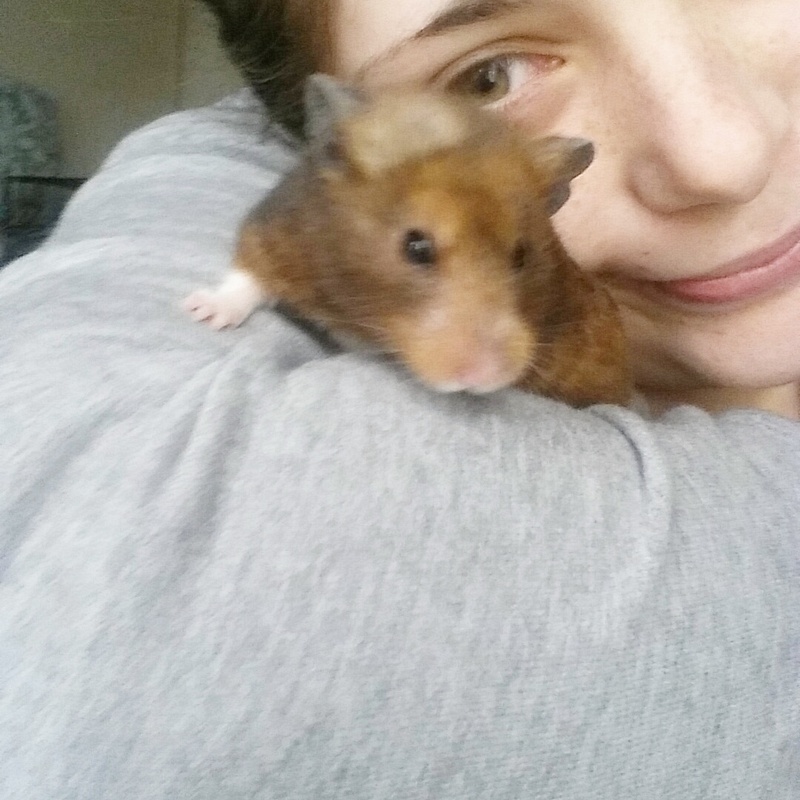 But sadly, a couple of weeks ago, I also lost my beloved little Pammy. For those who don’t know I adopted Pammy back in March after suffering really awful depression. 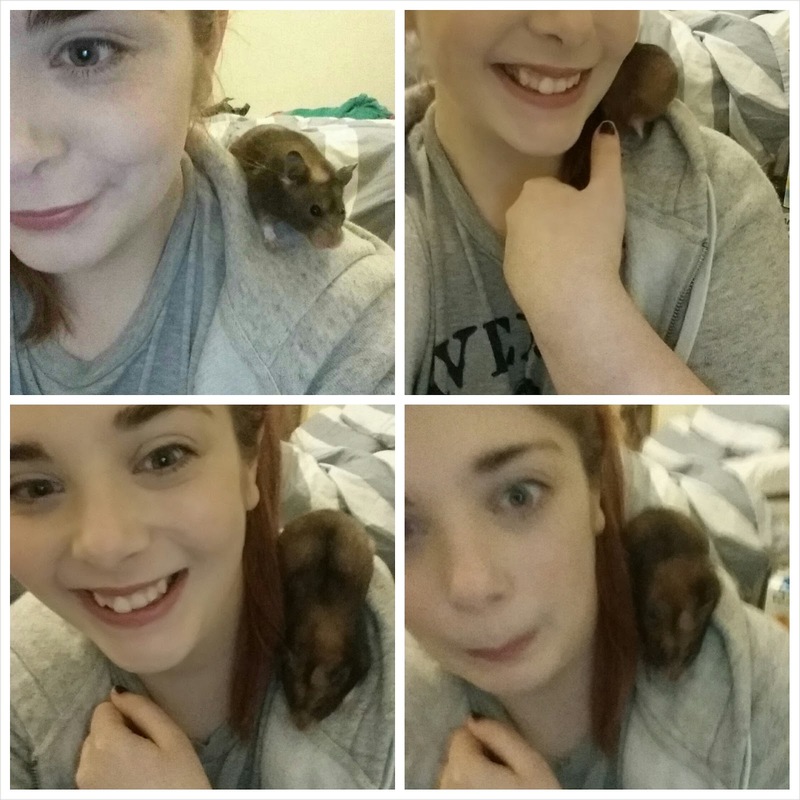 She was adopted from someone giving her away on Gumtree and came in a really tiny cage. I got her lots of new stuff and eventually she made my room her home. I got away with hiding her in secret until pretty much her last days and she went from strength to strength so as sad as I am, I am also glad she got to spend the last few months with me. When she first came to me she didn’t know how to climb, what to use a wheel for, or how to properly make a nest. Her new cage had a tube which became her new obsession and she’d rip all her bedding up and would build a new nest somewhere better. Once she was confident being handled, I’d let her roam around my room free. She would scamper from one side of the room so quickly I would constantly be looking for her on the wrong side of the room. She was an opportunist. I learnt quickly not to leave packets of biscuits out in my room as she would be away with one before I knew it! In particular Bourbons! My favourite thing was when she learned to climb properly and was strong enough to climb around. She’d end up on my bookshelf, my desk and climb up my bed from the floor and back down again. She would stuff her face until it looked painful and then eat all night! I miss cuddling her already but I’m so glad I gave her a good time and was there to look after her when she was ill.
Next Post Save the Bees!